How do I upload images into the User Gallery? In order to upload images in User Gallery, you must first log in. Once you have logged in, you can upload them by clicking on ‘Upload Photo’ in the Add Gallery page. Did you receive a verification email from us? If yes, then please note that this verification email is sent to validate your email address. Check your junk mail to see if the email was received there instead, or click on "I need that verification email again" to have it re-sent to you. If you still haven't received the verification email, you may have accidentally typed in an incorrect email address. You can check with us by clicking on ‘CONTACT US’. 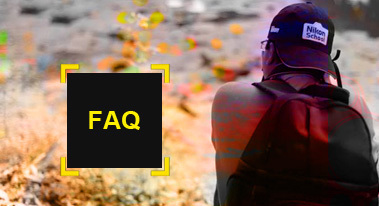 What Nikon products do I have to own in order to be eligible for a Nikon School membership? You don’t have to own any Nikon products to be eligible for a membership. However, if you register with your D-SLR/Nikon 1, you stand a chance to avail a discount in the fee for workshops. I’m trying to register as a Nikon School member, but it states that my email address is in use. What’s going on? This is mainly because you have registered at our system previously and we already have a record of your account. We recommend you to click on forgot password under the following link. I have forgotten my user email and password. Please help! In order to retrieve your password, click here. 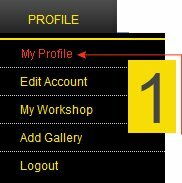 In order to reset your password, you need to log in to your account and go to ‘Edit Profile’ under the Profile tab. I am trying to register as a Nikon user but the system is showing my camera serial number as an Invalid Serial Number. This has occurred because either your camera is not sold by Nikon India or your camera serial number has not been updated into the system database. We request you to share a scanned copy of your service warranty card at Nikon.school@nikon.com and we will update your serial number at the earliest. It is due to repeated incorrect password attempts that your account has been locked. 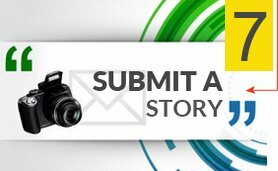 Please send an email stating the same to nikon.school@nikon.com and we will unlock it for you. I enrolled for a workshop but didn’t get the payment confirmation mail. You can get in touch with our Customer Support Officers by clicking on Contact Us. They will be happy to assist you. You can get in touch with our Customer Support Officers by clicking on Contact Us. We will try our best to have all your questions answered. Can I upload images taken by other camera brands? Anyone who has a valid account can upload images in the gallery. How many images am I allowed to upload? You can upload only 4 images a week. The next set of images, 7 days after uploading your last image. You can delete an existing image added by you if you wish to upload another one instead. When will my images appear on the User Gallery page? Images go live only when the admin approves them. Once your image has been approved, you will get an email confirmation and then your image will appear in the User Gallery. 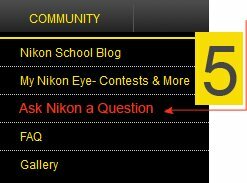 How do I become a Nikon School member? In order to become a member, you need to fill in your details and register your product online (D-SLR if available). On completion, an activation email will be sent to you. Once you have verified your email, your registration will be complete. 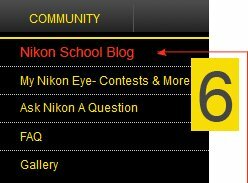 Nikon School India is an online community portal for Nikon users/customers to share photos and articles. Registered members stand a chance to receive the Nikon School monthly e-newsletter and attend various photography talks/workshops organized by Nikon School India. Registration for Nikon School India is completely free. How do I redeem points in Nikon loyalty program? In order to redeem points, it is mandatory for a user to have at least 300 points in his account. How can I earn maximum points in Nikon loyalty program? Once the user registers himself/herself to Nikon, participate in all the activities. Different activities have different point allocation. The more you participate, the more you can redeem the benefits. The users can redeem their points either for a workshop or goodies. I have multiple Nikon school accounts. Can I pool together the points of both the accounts? 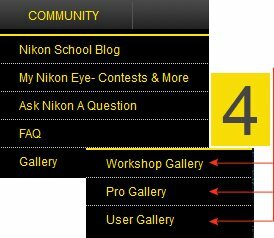 No, a user cannot pool the points from multiple Nikon School accounts. Also, you cannot redeem using multiple Nikon School accounts. How many days will it take for my goodie to get delivered? A minimum if 7 days are required for the goodies to be delivered to the users. Why have I not received the loyalty points in spite of uploading the images already? Points will be added to the users account only when the images sent by the users are approved or verified from our team. How is it beneficial for me to buy a Nikon camera manufactured in India over the camera manufactured outside? Buying a Nikon camera manufactured in India will fetch the user 75 points, whereas, buying a camera manufactured outside, gives the user only 50 points. I have enrolled into many workshops earlier. Will they be considered for the loyalty program? No points shall be considered from the user’s earlier workshops. The Loyalty program was launched on 27th Aug, 2015 and workshops online enrollments beyond that date will only be considered. Why have I not received any points inspite of me sharing my NIKKOR Lens information with you? Points will be added to the users account only when the information sent by the users is approved or verified from our team.